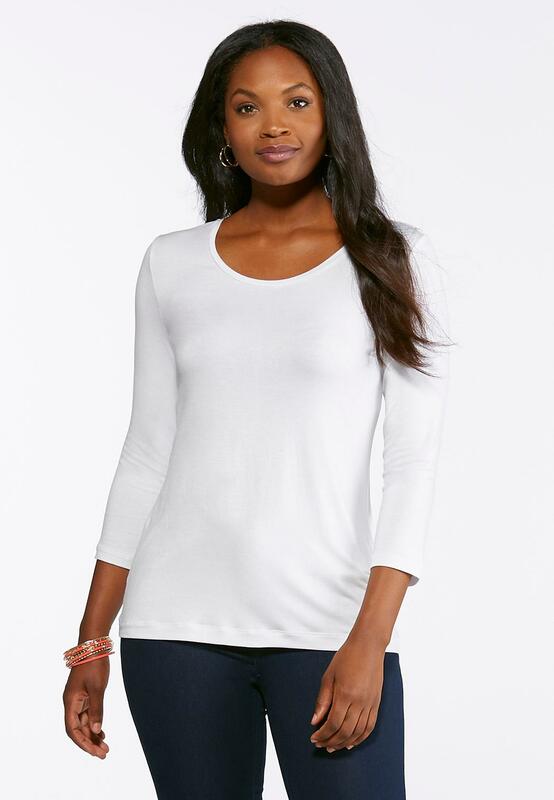 This super soft scoop neck tee is a versatile must-have. Wear as a classic layering piece or by itself with your favorite pair of dark wash jeans. This tee is perfect for layering under catos fall plaid vest. Im in love with the 3 quarter lenght sleeves. Will buy again!!! Great deal I have 4 colors and getting ready to order 2 more. It looks great with a scarf or necklace easy to wear dressy or casual.I would highly recommend. These tops are so versital.Wear them alone or layered.Loving the 3/4 sleeves.Great colors,very comfortable.